The fact that virtually every flats fishing angler in North America has heard of Christmas Island is far from coincidence. Amidst the vast inventory of the world’s saltwater flats destinations, Christmas Island is a unique and natural masterpiece that magically combines all the elements critical to fly fishing success. Endless hard sand flats fishing, remarkable numbers of cruising bonefish and trevally, and consistent year-round weather await all who visit this unique atoll. Fly fishing guides at Christmas Island Outfitters have been handpicked for their overall level of experience and skill, calmness under pressure, and instructional abilities. Fishing Program - Christmas Island remains one of the best destinations in the world for both beginning and advanced saltwater anglers alike. Lodging - Simple, clean and comfortable accommodations provide the perfect home base for your fishing adventure. The Ultimate Atoll - A comprehensive review of Christmas Island and the destination as a whole. "Christmas Island is a strange and wondrous saltwater seascape that seems to have been infinitely blessed by the fishing gods. It is a vast Matrix-like network of endless hard sand flats, lagoons, channels and reefs spread out across the Earth’s largest raised coral atoll. 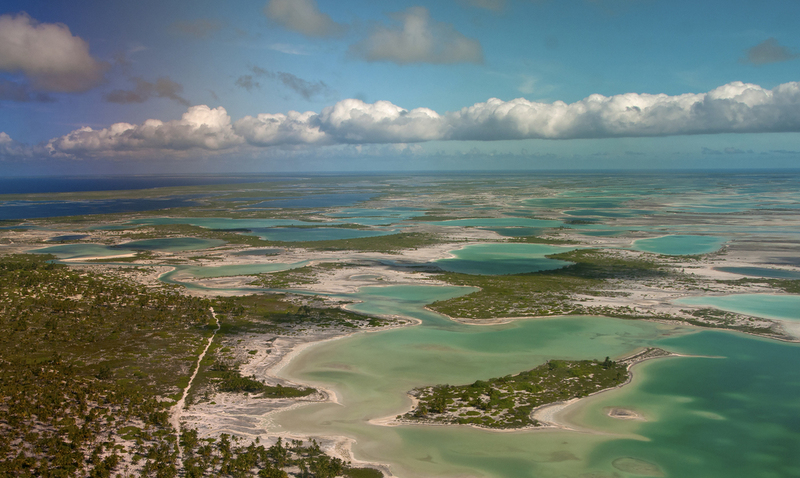 The main lagoon harbors the world’s most expansive system of productive shallow water flats. Bonefish, trevally, trigger fish, sharks, snappers, puffers and milk fish patrol more than 100 named flats perfectly designed for wading fly anglers. Christmas Island is a veritable wonderland for the saltwater fly angler and Christmas Island Outfitters is there to make your dreams come true."